We are proud to announce that Dorado Homeowners Association has selected Tinnelly Law Group as their association’s legal counsel. 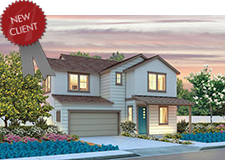 Dorado is a brand new single-family home community by Pulte Homes. Dorado is close to many attractions including the Queen Mary, The Pike, Aquarium of the Pacific, Cal State Long Beach and the delicious culinary scene downtown. Ideally situated between Los Angeles and Orange Counties, Dorado is conveniently located in Long Beach. Our HOA attorneys and staff look forward to working with Dorado’s Board and management.